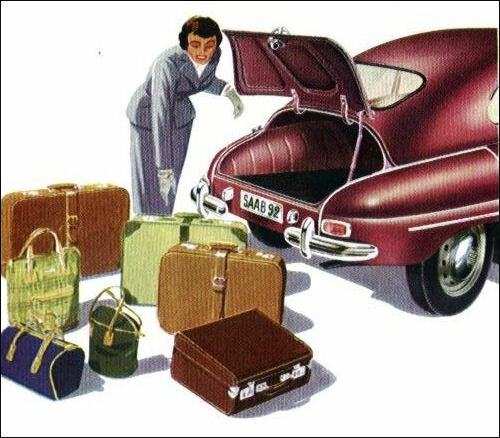 For the model year 1954 the Saab is designated the 92B. A new Solex 32BI carburettor and a new ignition coil boost engine output to 28hp. 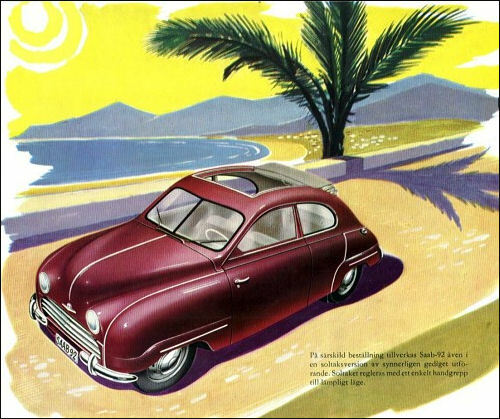 The American sealed beam headlamps, which had a tendency to dazzle oncoming traffic, were replaced with Hella units. 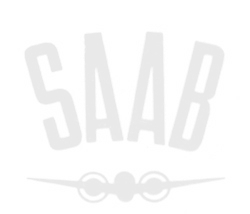 For the first time Saab offer the option of a factory-fitted large textile sunroof at an extra cost of 600 krona. A further colour, maroon, is now available. 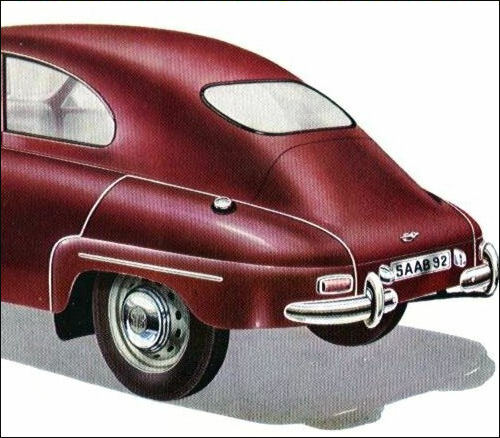 The 10,000th Saab rolled off the assembly line on 6 March 1954. Production of engines and gearboxes was relocated to Gothenburg.